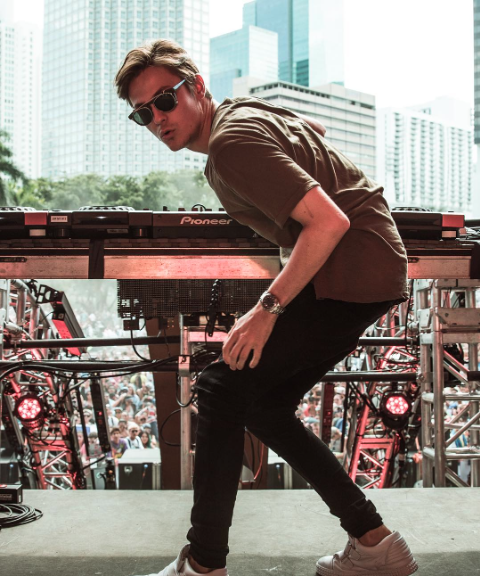 Article: DJ Sensation Julian Jordan Gives A Remarkable Performance At Ultra Music Festival Miami! Watch Here! All of our favorite DJs together at one music festival? Sign us up! The extraordinary and sensational DJ Julian Jordan had a magnificent time as he left the crowd speechless with another outstanding performance during the renowned Ultra Music Festival in Miami. Julian Jordan has such a unique stage presence in which he not only performs, but brings so much energy and a euphoric feeling to all Ultra Music Festival attendees. The stupendous Julian Jordan continued to mesmerize everyone as he performed at the Ultra Music Festival main stage on March 18th. Missed out on Julian Jordan’s unforgettable and spectacular Ultra Music Festival performance? Don’t worry! Julian Jordan shared his brilliant performance at Ultra Music Festival Miami for all of his fans worldwide to be able to enjoy. Check out more photos below from Julian Jordan’s amazing Ultra Music Festival performance as well as watch his live performance in the video below. Congrats to Julian Jordan on another terrific performance! Follow Julian Jordan on Twitter: @JulianJordan and check out our VIPAccessEXCLUSIVE interview here! Previous Article: Relive Martin Garrix’s Epic Closing Set At Ultra Music Festival Miami By Watching The Video Here! Next Article: Oliver Heldens Shares Outstanding Post About His First Time At Miami Music Week And Has An Amazing Time At This Year’s Event! RECAP!